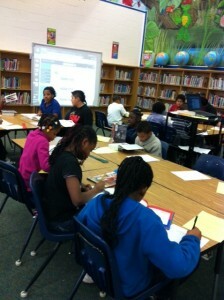 Mrs. Crosby worked with Fourth grade classes on bibliographies for projects they were completing. While this task can be tedious, it is a very important part of a report or project because presenters (i.e. 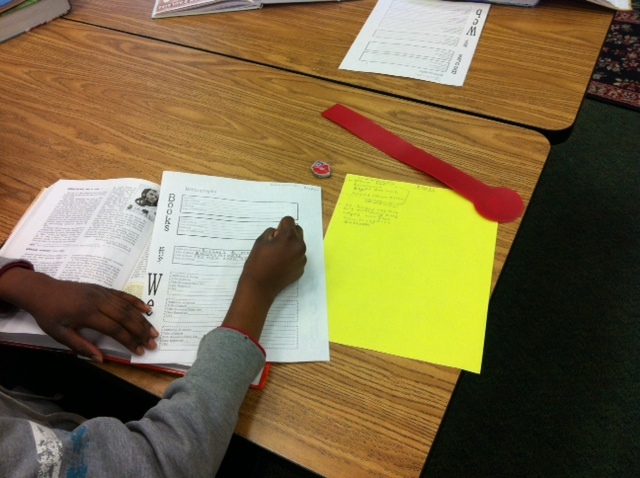 students) must demonstrate that they collect their information from reputable sources. It can also provide readers or viewers with a list for further investigation if they too are interested in the topic. For elementary grades, I provide students with a very basic guide for writing their bibliographies and there are many websites that provide guidance on this subject such as Fact Monster.com. If your student needs additional assistance, please stop by the Media Center for help. Happy Researching! Students learning how to write bibliographies. Using a form to organize citations.